I’m at least figuring out what the elements are to spinning my rolags using the woolen long-draw method. First, fiber prep. The better my rolags, the easier it is. But the real key is finding the right balance between letting the twist in and drawing the wool out. One hand controls how much twist gets in while the other draws the fiber out. I’m pleased that I have learned enough to realize that. If I keep practicing every day, I will undoubtedly improve. 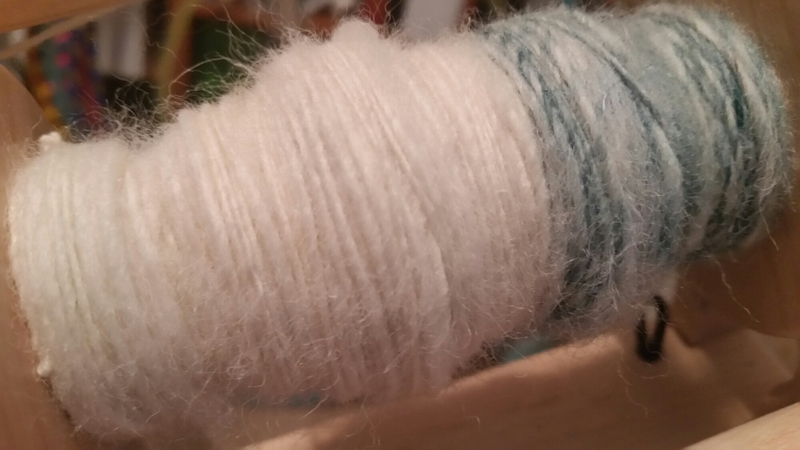 This entry was posted in Art, Fiber and tagged beginnings, creativity, Honesty, Rolags, Spinning, Woolen Method. Bookmark the permalink.